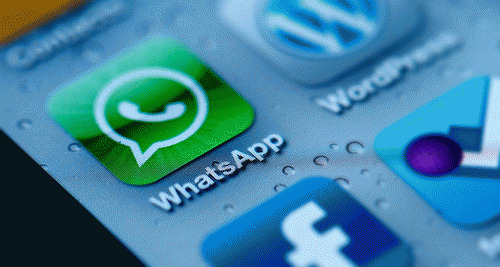 WhatsApp Will Share Your Info With Facebook! How It May Affect Us? Wake up to the real world- you are now a part of the globalized world where privacy is no longer protected. You are gradually surrounded by situations where you have to willingly surrender your privacy and human rights. Ironically, today we live in a world similar to 1980's Soviet Union where WhatsApp founder Jan Koum lived in fear of his communications being monitored. The rise in the internet has revolutionized our lives in recent decades but nothing more intoxicating than the social networking service Facebook and its instant messaging app WhatsApp. And as a German idiom puts it most of us have bought this cat in a sack and subscribed to these free services without inspection. Nonetheless, we still have to pay a price as these free available in a jiffy services do not come without a bundle of terms and privacy policies that we rarely bother to read; let alone understand fully. On top of that, they frequently change their policies without notice and the addicted users have no option but to agree. And this is where the real trap is. Shocked and aggravated by this news? Not to worry, if you are an existing user you may simply opt not to share your account info by changing your settings Just go to your WhatsApp settings and deselect the "Sharing Information" checkbox and that's it. But for new users, the recent privacy change seems to set in stone. But beware, even if you choose not to share your info in settings, the messaging Goliath is still going to share some of your information with its parent company Facebook, like the phone number you verified when you registered with WhatsApp as well as some basic device information such as your mobile carrier code, identifier, and the mobile country code. Take it easy. The information collected from you will not be seen by other people on Facebook. Nor they will provide it directly to their business clients. This is the WhatsApp and Facebook way of doing business. You seem to forget that Facebook has spent a sum of 19.3 billion dollars for Whatsapp acquisition. You also forgot that WhatsApp and Facebook do not drive you crazy by annoying on-screen sticky ads. Yet, like other business corporations, they need to multiply their investments and your information is their asset and precious for their clients. Nevertheless, once you have accepted their updated terms, they will share your account info and analytical data to be used to customize and tailor ads appearing on your Facebook. Hold on! this doesn't mean that your pictures or private messages will be shared. WhatsApp still claims to care about your privacy. Remember, what makes WhatsApp stand out from other messaging services is its built-in encryption. Those of you who are using the latest versions have the additional facility of end-to-end encrypted data by default. Ever Wonder what it signifies? It simply means that only the people you are messaging to can read them -no one else including WhatsApp and Facebook. Is Pokemon Go Really Posing a Global Threat to National Securities?